When you’re sitting in metal bleachers on a warm Autumn night, it may be easy to realize how athletic the football team on the field is. When the band takes the field, however, it may feel like the time to take out your phone. What you’re missing out on, though, is an exhibition of countless hours of practice highlighted by hard work and sacrifice that is surprisingly athletic. Marching band membership has shown me not only how much time I need to contribute, but also how much physicality. The band that I’m in, the St. Paul’s Marching Wolves, marched more than the length of a Marathon this Mardi Gras. Our draining dance routines incorporate a flashy show-style aspect just as much as music. As previously reported by The Paper Wolf, Dustin Simoneaux, a Marching Wolves drum major, has sprained his ankles multiple times over the course of a parade, yet has done high kicks higher than anyone and refuses to give up in the face of adversity. 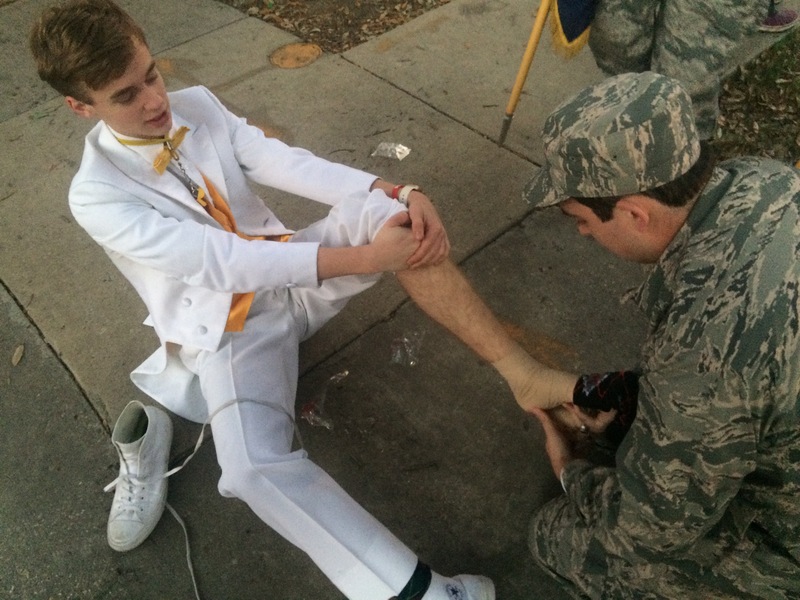 Our band mirrors this, with injuries occurring somewhat regularly during Mardi Gras season. If that will to perform at the highest level and put on a show isn’t athletic, then I don’t think that you can say that football is athletic by the same criteria. I know from experience that carrying a drum, playing it, and dancing for a parade’s length are things that the vast majority of athletes at my school can’t do. They are entitled to vast amounts of credit for all of their skills, though, because I know for certain that I couldn’t make a varsity team to save my life. There are elements of their regimen that cannot be matched in athleticism by marching bands. But I think that the athletic aspect of marching band is something that is vastly overlooked. David Gonzalez of the New York Times illustrated the discipline required by marching band in his article about a photographer’s experience with them. In his story, a band member was immediately asked to turn in his uniform when he showed up late to a performance. Band requires just as much discipline as an athletic team, if not more. Band members put in just as much time on hot practice fields as most athletic teams, running their plan for their show for hours on end until it is ready to be shown under the lights. 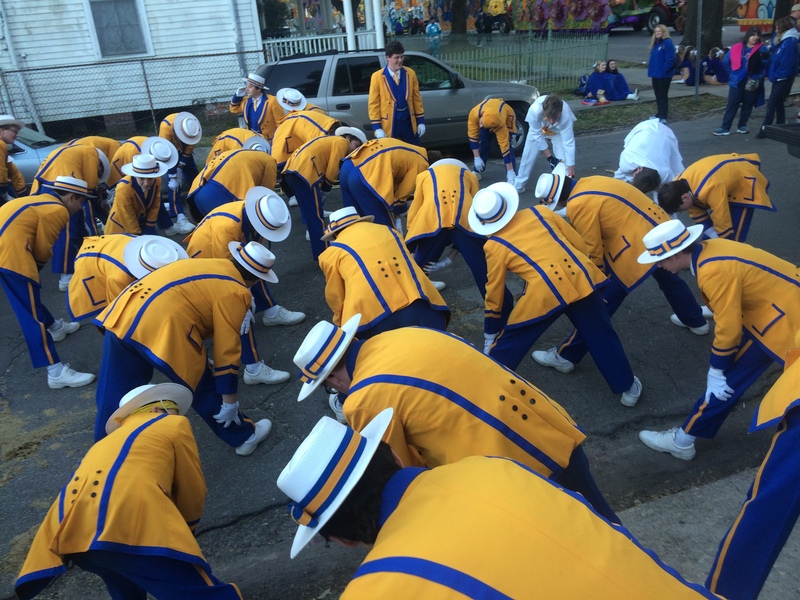 So when you see a band marching down the street or lining up to enter the field in the fall, know that there is just as much athleticism as there is musicianship within those ranks. Absolutely BAND is an athletic event. Band members often practice more than sports teams, they have to be in excellent shape, wear uncomfortable uniforms unsuitable for most weather. They do not get near the credit they deserve. Plus they have a skill which will last them a lifetime. Trumpet or Quarterback when you are 60?